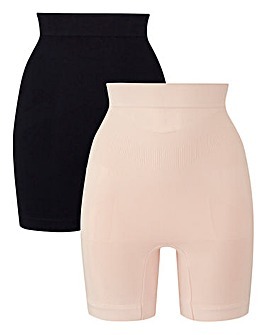 Enhance your curves with our plus size thigh shapers. Designed to lift your bum and sculpt your thighs, they create a stunning, streamlined finish. Shop light, medium and firm control thigh shaping shorts to complete your shapewear collection.